When you think of Florida, most people think of warm sunny days in paradise. However, if you’re a homeowner in Florida and you fail to properly maintain your septic system, then you could find yourself with a lot of damage to your lawn and your home. The idea of leaking sewage in your yard is cause enough to call a septic cleaning expert, and if you live in Dade or Broward Counties, then the professionals at Coker Septic are here to help. We offer septic cleaning, repair, and maintenance to ensure that your septic tank is in good condition. We also offer 24/7 emergency services to assist you with any problems that may arise during normal working hours. If you need septic cleaning experts that you can trust, contact Coker Septic today! Because Florida is so close to sea level, there are certain rules that apply to your septic system that may not apply to areas around the country that are at a higher elevation. In part one of this series, we will discuss a few things that you should know about your Florida septic system to ensure that everything functions properly. One of the best tell-tale signs to look for to see if your septic system is functioning properly is to look at the grass in your yard. Septic tanks can quickly cause a lot of damage, and you need to be able to spot signs of trouble as soon as possible. The best way that you can keep an eye out for potential problems is to look at the grass around and directly above the placement of your septic tank. If the grass is bright green and looks healthy, then you have nothing to worry about. However, if the grass surrounding your septic system starts to look brown, darker in some spots, or has green stripes, you could be looking at a myriad of different problems that need your attention. Florida is no stranger to rain. In fact, you may feel that some days the rain never seems to end. With such a rainy climate, it’s easy for your lawn to become completely saturated. While this may seem like a blessing for the grass, it can mean a disaster for your septic system. If you are experiencing a lot of rain, your drainfield — which is responsible for filtering and breaking down waste in your septic system — can become soggy. As a result, the drainfield may have problems absorbing and neutralizing the waste. In order to prevent too much water from getting to your drainfield, you need to direct water to other areas of your yard. Rain barrels are a great resource with the amount of rain that we get in Florida, however, you can also use downspouts to direct the water away from your septic system as much as possible. Need a Septic Cleaning Professional? Whether it’s been a long time since you’ve had your septic system cleaned or you are in need of a repair, the experts at Coker Septic are happy to lend a hand. We offer septic cleaning, maintenance, and repair, as well as 24/7 emergency services to help you with all of your septic needs. Don’t wait until you’re faced with costly repairs. 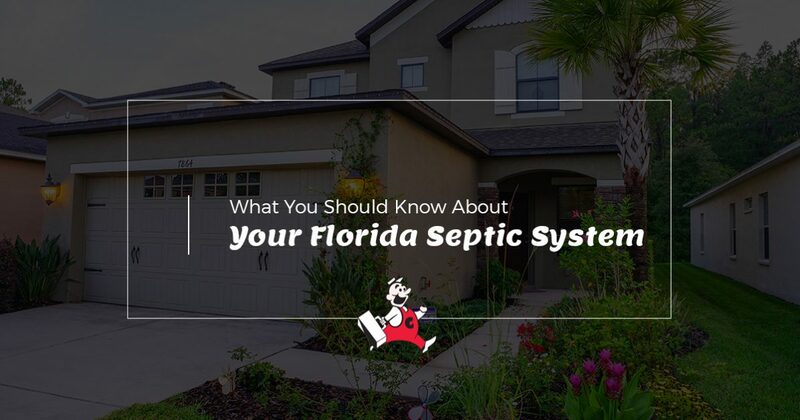 Contact Coke Septic to get started today, and be sure to look out for part two of our series to learn more about your Florida septic system.